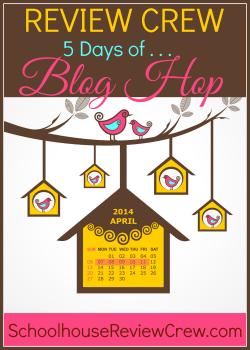 This week I will be participating in the Schoolhouse Review Crew’s 5 Days Of… blog hop! 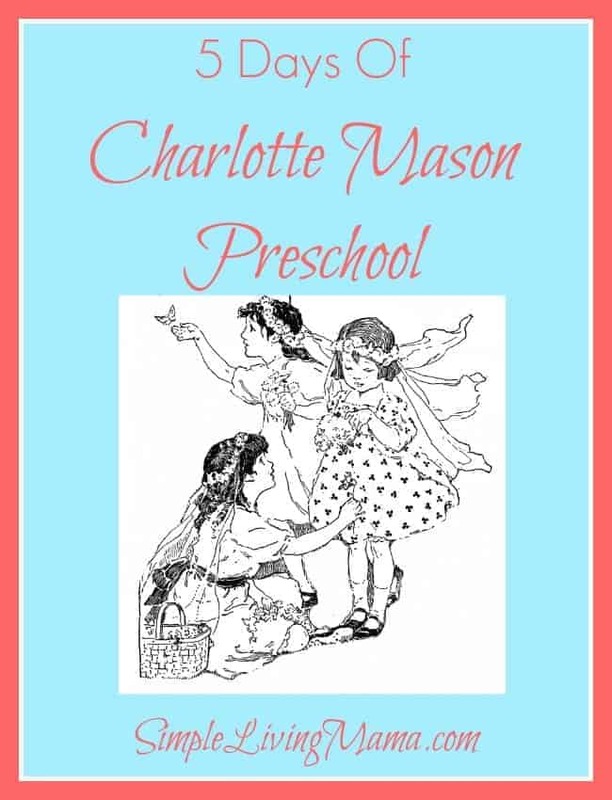 I chose to write about our Charlotte Mason preschool. I want to give you a real look at how a simple mama has implemented this method in her home. I’m not a Charlotte Mason expert. In fact, I still consider myself a student. We may not follow the Charlotte Mason method in its entirety, but our homeschool is greatly influenced by her teachings. What About Reading, Handwriting, and Math? I’m also giving away a little something to help you get started on your Charlotte Mason journey! I hope to see you back here tomorrow when we officially begin the blog hop! Other Charlotte Mason Preschool Posts! 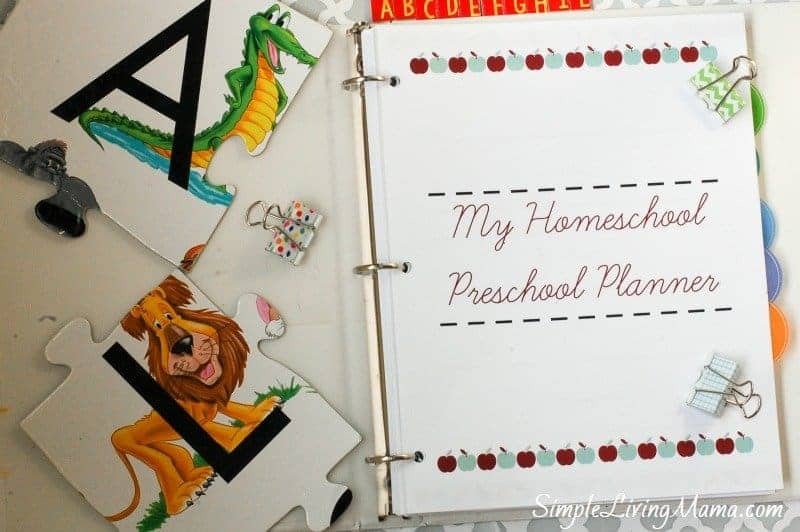 Check out My Homeschool Preschool Planner! It’s heavily based on the Charlotte Mason method. Aw, thanks for mentioning me and I’m so glad I was a key in getting you plugged into the CM way of doing things! We’re a little more eclectic these days but still so love Charlotte Mason! Thank you so much for introducing me to this wonderful way of educating children, Jamie!